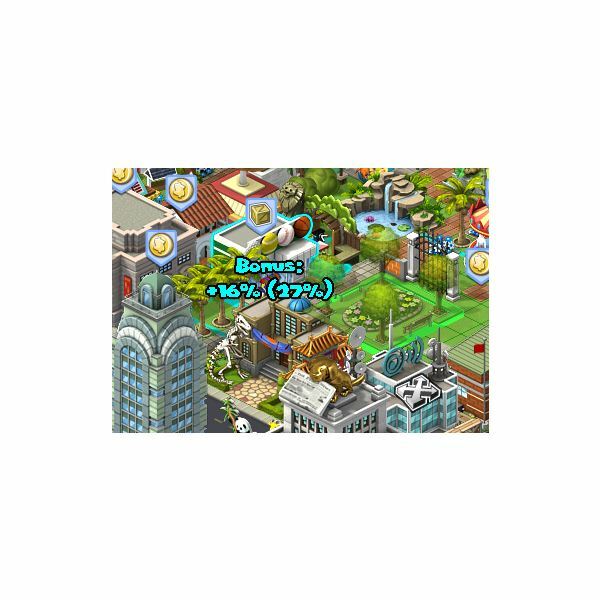 CityVille has a wide variety of buildings, businesses, decorations and other items that you can use to completely personalize your gaming experience and suceed in becoming a profitable CityVille mayor. One of the options when building your city is to include items from the Decorations menu. Starting with a basic supply of signs, flowers and trees, the Decorations become more elaborate and offer varying bonus points depending on where you place them in your city. Your options for Decorations in CityVille expand as your Experience Level increases. The Decorations available to CityVille players vary in cost, the space they take up in your city and the percentage of bonus coins you receive when you use them. Decorations can range anywhere from Asphalt and City Sidewalks to more elborate mini winter scenes such as a Frozen Pond and Ice Rink. Decorations cost either City Coins, which you can earn by farming crops or collecting from businesses; or City Cash, which you can earn through levelling up or by purchasing credits. The easiest way to see how many bonus coins you can earn is to select the desired item from the Decorations menu and move your mouse so the desired location of the item is highlighted in green. The bonus percentage will show on the screen and will change depending on if you place it close to a business, a house, or any other building in CityVille. Bonus percentages are usually equal to the amount of space they take up when placed in your city. For example, the Standard decoration, a 3×1 Lunar Gate, gives a 3% bonus, while a 4×4 Arboretum gives a 16% bonus. In the following example, you can see that by placing the Arboretum next to a business provides bonus coins, depending on the value of the building itself. Additional bonus coins are also shown in brackets. These coins are the bonus amounts you will earn when you collect earnings from the home or building. By laying out your city to include empty spaces around buildings and houses, you can add Decorations and swap them out for higher-earning ones as you level-up. Businesses and houses in Cityville must be placed adjacent to a road, which can be purchased in the CityVille market. But roads take up a 3×3 space in your city, while sidewalks only take up a 1×1 space. Using sidewalks in place of some roads can save you precious space that you may want to use for the decorations and franchises that will earn you money. As long as the sidewalk is connected to an ashphalt road, you will still be able to collect from any businesses, community buildings, homes and decorations that are connected to it. Another strategy that you can put into play is setting up your city with high-percentage paying decorations around businesses, then swapping them out before collecting your earnings. Since some buildings offer higher earnings than others, you can collect from the original building, them move it to place a higher-earning building in the same position. This allows you to use up less energy while still earning all-important bonus coins that you can use to continue to grow your city. One exciting way to dramatically increase your earning potential is the Cruise Ship. After you have completed the 4 missions in the Cruise Ship Quests, you can place the Cruise Ship to start receiving tourists to your city. Tourists visit your city to spend money, so be sure to supply all your businesses with goods before unloading tourists. That way you can speed up your business payouts and increase the amount of coins you have more quickly. Being a successful CityVille mayor takes strategy, creative gameplay and some thought to how your city can run smoothly while still providing ways to make money. Each item you place impacts any other item surrounding it, as well as your city as a whole. With some careful thought, you can collect more money for every Energy point you use. By putting some thought and strategic planning into building your city, you can maximize payouts while spending less of your City Coins, and gain the XP(Experience Points) you need to rise in the ranks of CityVille. To build your own city on Facebook, visit apps.facebook.com/cityville to start your own metropolis, add buildings and businesses, plant crops to supply your businesses and swap items with your CityVille friends.